Business confidence is rising in Australia despite core economic indicators not improving, an international survey has found. 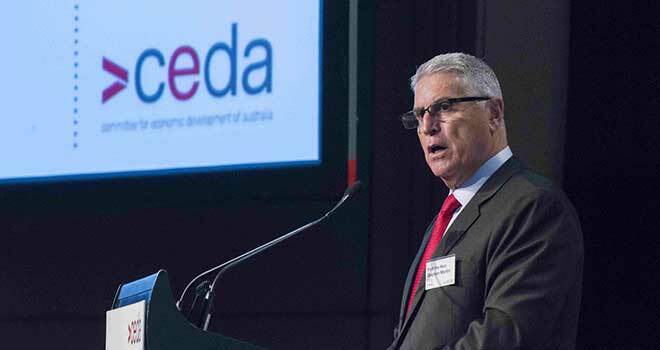 In releasing the Australian results of the IMD World Competitiveness Yearbook which ranks and assesses 61 countries, CEDA Chief Executive Professor the Hon. Stephen Martin said overall Australia regained one place this year rising from 18 to 17, moving up the rankings for the first time after five years of decline. Professor Martin said notably Australia jumped from 27 to 12 on economic resilience which indicated that the business community was more confident in Australia’s ability to adapt to the changing economic environment following the end of the mining construction boom. “The mining boom is over but the slack is being picked up by other sectors so while our economy is not going as fast as in the previous decade we are still growing,” he said. “Overall economic performance improved slightly on the back of gains in rankings for international investment, R&D and employment. Professor Martin said improvements in R&D and innovation rankings were very positive. “R&D and innovation are always top priorities and it appears confidence is growing in our ability to keep pace globally in these areas,” he said. “It appears the business community is less worried about R&D moving overseas than a year ago with Australia moving up the rankings from 53 to 47. “However, to support R&D we need the right IT infrastructure and that is still an area of concern. “Australia improved in the technological infrastructure category from 33 to 26 but this seems to be largely due to the increasing number of broadband subscribers. “Improving internet bandwidth speed still has a long way to go, with Australia dropping in the rankings from 26 to 39 which means despite the roll-out of the NBN, other countries are getting better quicker. Professor Martin said another concerning area which has already had significant focus in mainstream media is property prices. “The results of the WCY shows this is not just an issue for those seeking homes but also for those renting commercial premises with our ranking moving from 40 to 53 – making us one of the highest cost nations for commercial rental properties of the 61 countries assessed,” he said. The rankings are part of the Switzerland based IMD’s 2016 World Competitiveness Yearbook, which compares and ranks 61 countries based on more than 340 business competitiveness criteria. Two-thirds are based on statistical indicators and one third is based on a survey of almost 5500 international executives conducted in February/March this year. CEDA is the Australian partner for the yearbook. Overall China Hong Kong ranked first and Switzerland second, displacing the US which ranked third this year, after holding the number one ranking for the previous three years.